Wild red sea urchin from off the coast of Santa Barbara is freshly packed in a convenient 5 pocket plastic tray. Great on its own or right out of a pocket to make a sushi. It’s easy and versatile. The fresh sea urchin used is #1 grade quality, which is the next grade after premium fresh sea urchin. *Please keep refrigerated and serve while it’s fresh. They are marinated in kombu-shoyu (kelp base soysauce) to enrich the umami-flavor, and carefully packed in a jar. 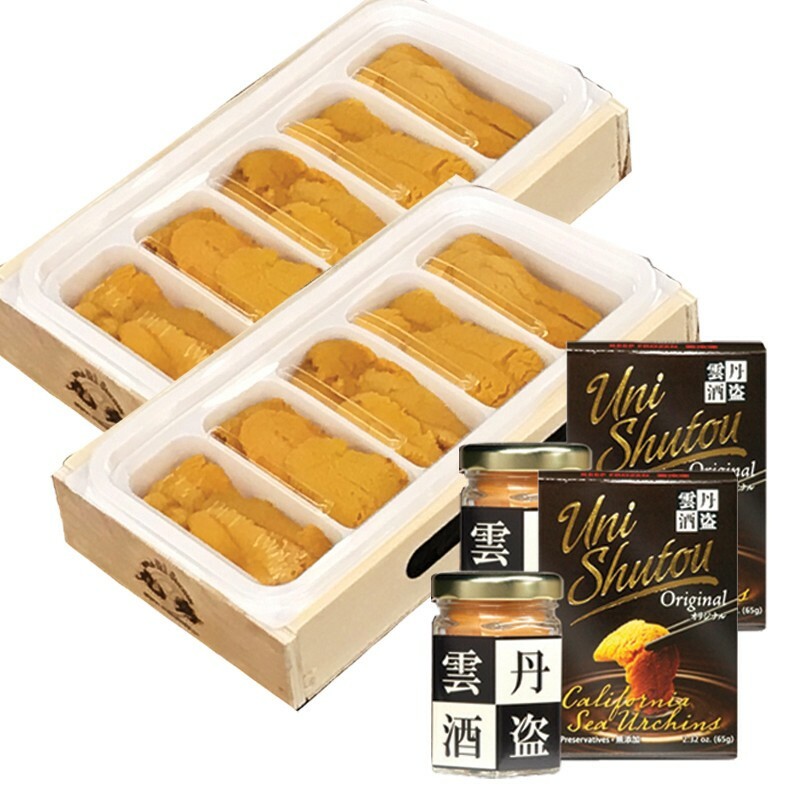 Uni Shutou is served in JAL first class as an hors d’oeuvre, and its taste may compete with a high quality caviar. Uni Shuto can be enjoyed in many ways, as a garnish or by itself. Experience a whole new delicious taste.